This project was a 403,300 square foot, 19-story building with 185 rooms. The building has two separate wings: a combination 4 star hotel in one wing and a 371-unit apartment complex in the other. The amazing structure holds a full restaurant and bar, an upscale coffee shop, a fitness center and spa, and an indoor swimming pool. In addition—one of our favorite parts—Level 19 of both wings has a beautiful outdoor seating area with scenic views of Mount Rainier and the Seattle Skyline.. 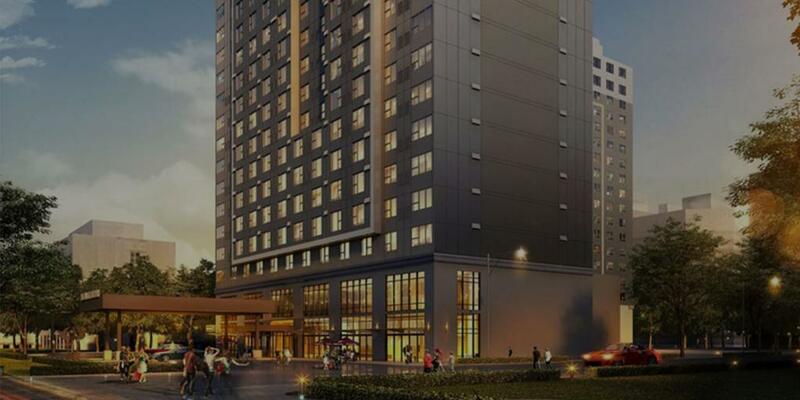 This large, housing-hotel combination building requires efficient, high-output pumping and water supply systems. Every room on every floor had to receive optimal pressure and heating. The challenge? Space confinements that varied throughout the mechanical rooms. The solution? 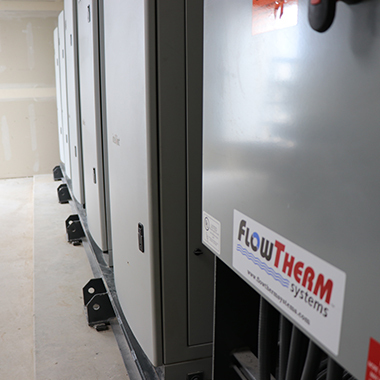 FlowTherm packaged systems created a fully pre-assembled package using Intellihot Tankless Water Heaters. 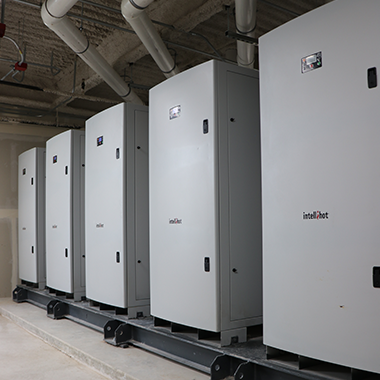 Their creative solution eliminated the need for multiple storage tanks, saving space while providing stellar water heat and pressure throughout every part of the building. 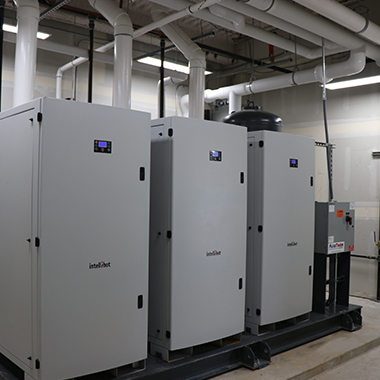 The next hurdle on this massive project was determining the right number of tankless water heaters—and convincing the team this was the right way to go! An additional Intelliho IQ was installed in each building wing for good measure. In total, five FlowTherm Systems packages were installed on this project, successfully meeting the high demands of this multi-use building. Included was a triplex booster system to serve with the apartment and hotel wings, with individual hydropneumatics tanks installed on the domestic water skids for each wing. Both hotel guests and apartment dwellers now receive hot water and great pressure, no matter which floor of the building they’re on!